Lists of books and publications, organizational newsletters, websites and social media, oral histories, journals, newspapers, and other research. 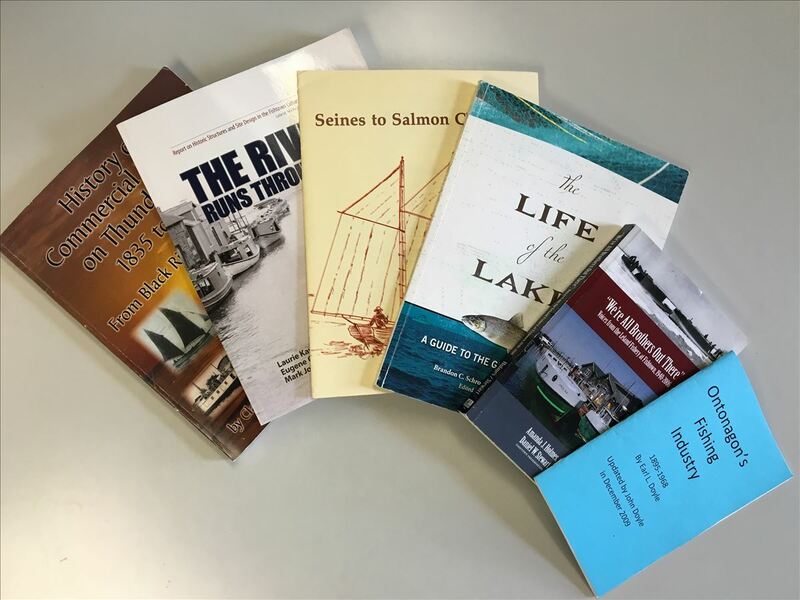 Book documenting the historic fishery of Fishtown in Leland, Mich.
Book exploring Great Lakes fisheries policy and management. Book documenting history of Michigan's conservation efforts, including fisheries issues and management. A book documenting Great Lakes issues past and present, including social and ecological issues relevant to fisheries.